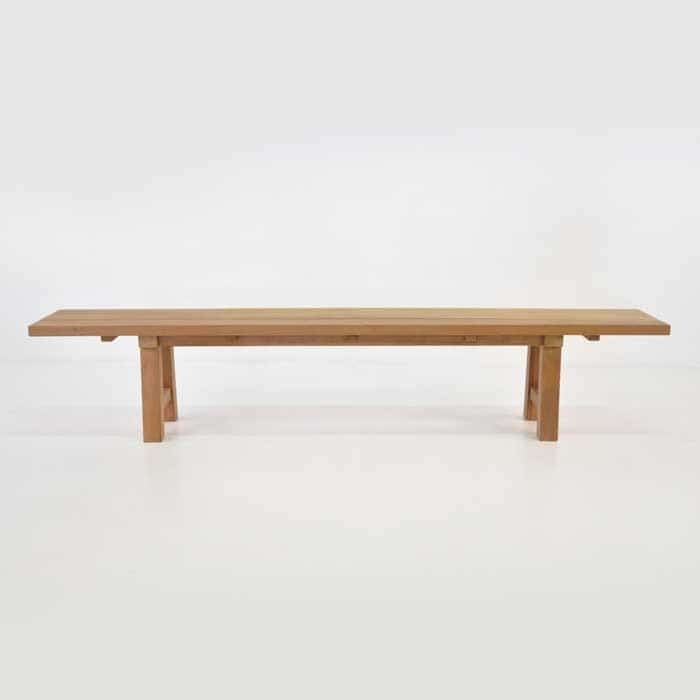 Backless Benches are a great option for adding to your dining table, or placing in the garden under a lush, green trees, and in your entranceway as a place for guests to enjoy as they enter your home. 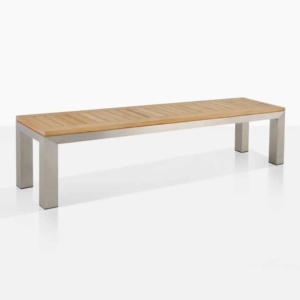 Our outdoor dining benches are both functional and decorative providing seating for any group size, ranging individually from single seat benches to 4/6 person benches. 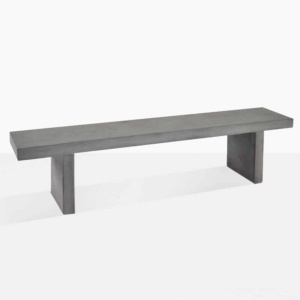 These benches not only provide comfortable seating for your outdoor dining needs, but also add timeless styling and high quality workmanship to your outdoor space. 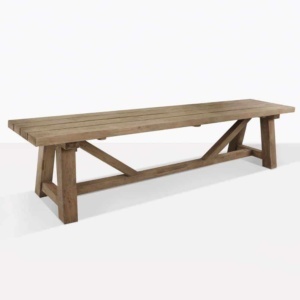 Place the rustic revelry of the Trestle Reclaimed Teak Dining Bench along each side of the matching Trestle Table. 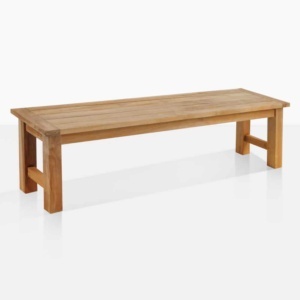 Add a comfortable ‘master’ chair at each end and you’ll have a dining area fit for many guests who will enjoy basking in comfort and luxury. Want a country feel? We have several styles to suit your needs. 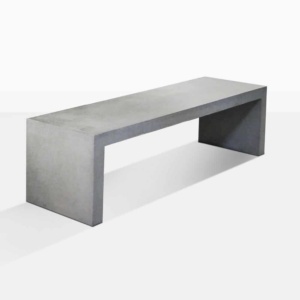 Need something a bit more sleek and modern? 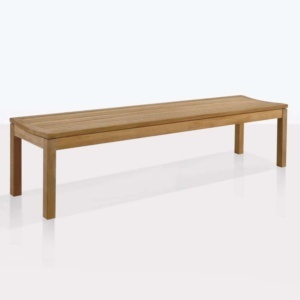 We’ve got dining benches in that style as well. 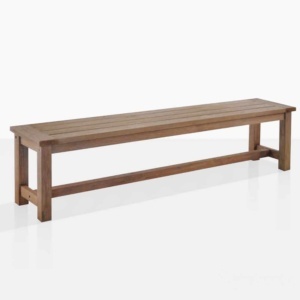 Whatever your outdoor furniture needs are, we have seating to fill your space. 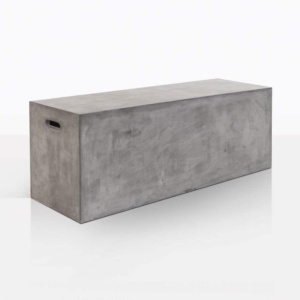 All come with our white glove delivery, hand assembled and checked guarantee and all styles are in stock now! 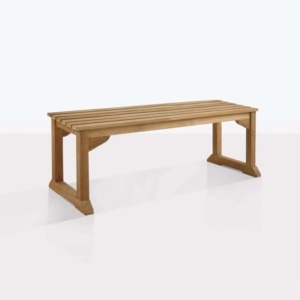 Design Warehouse has a tremendous range of outdoor furniture, for the garden, beach, patio or veranda! 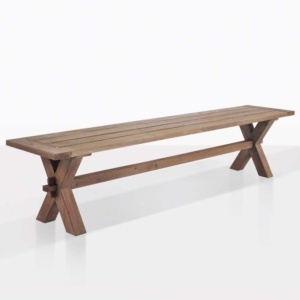 Choose from our exquisite array of benches, dining furniture, patio umbrellas, and outdoor accessories, available in all weather materials for your comfort and quality assurance.